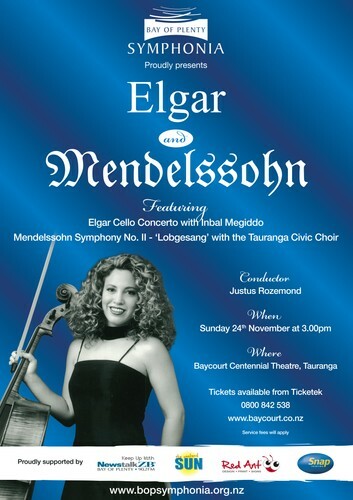 Bay of Plenty Symphonia are proud to present their last concert of the year. We open with an orchestral arrangement of Rachmaninov's Prelude in D, followed by Elga'r Cello Concerto - one of the top cello concertos. We are very excited to have Inbal Megiddo, cello lecturer at the NZSM play this ultra-romantic and emotional piece with us.